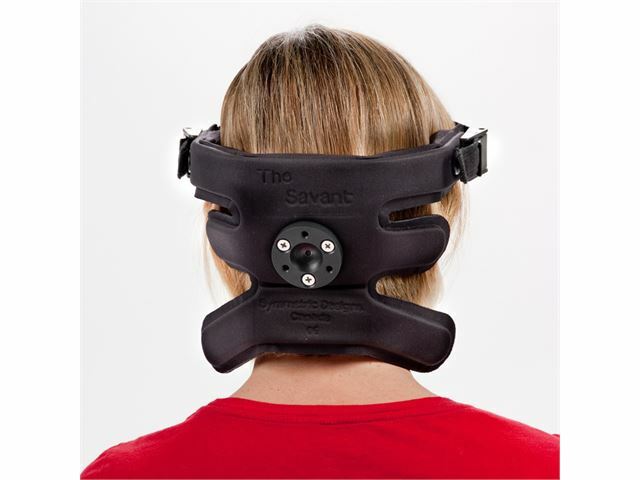 The Savant Headrest is a unique wheelchair headrest for total head control. It is cool, light-weight and can easily be shaped by the hand. 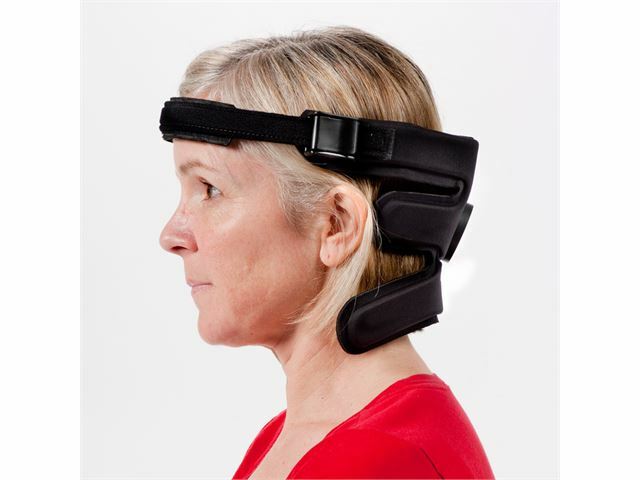 It provides support at three levels on the head to control lateral flexion and rotation. An optional headband can be used for anterior support. It is available in three sizes: Adult, Small and Paediatric. It is available in black. The low profile headband gives anterior support. Constructed with a unique steel core that allows selective shaping without tools. Quick release clamps hold the headband in place. Easy release for fine adjustment. 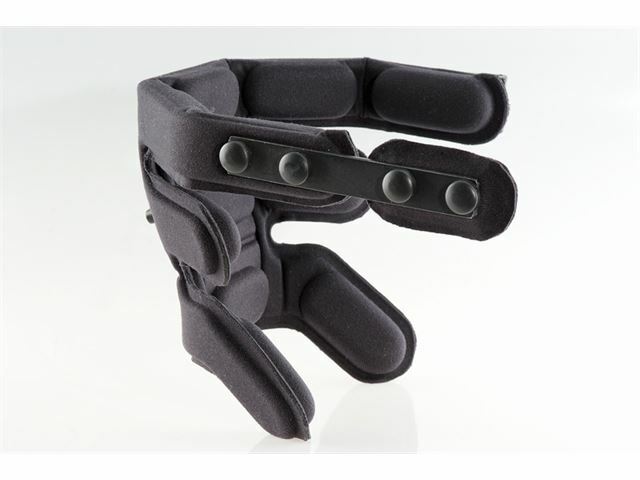 High lateral pads give effective lateral flexion control. Mid-lateral pads are shaped for comfort behind the ears. Sub-occipital pads form extra support below the mandible. The pads are filled with a soft gel for added comfort. It is covered with a soft and durable nylon/lycra knit fabric. 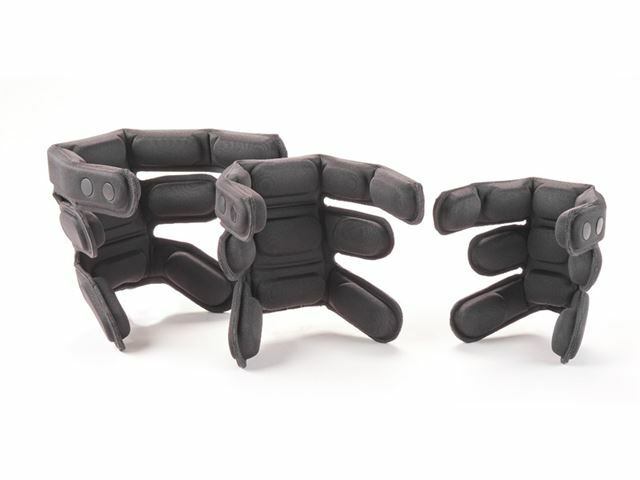 Easy to fit – headrest can be shaped by hand. Attaches to standard three point hardware. Optional use of headband (included) for additional anterior support. Pads are easily reshaped by hand when the wearer is repositioned. 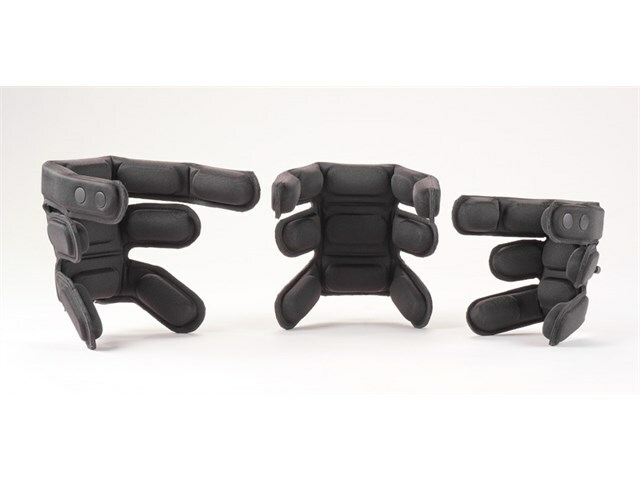 A cool and comfortable headrest, the modular design of the cushions allows for air circulation. Low profile with an unobtrusive appearance. Easy to keep clean (sponge clean with soap and water then air dry). 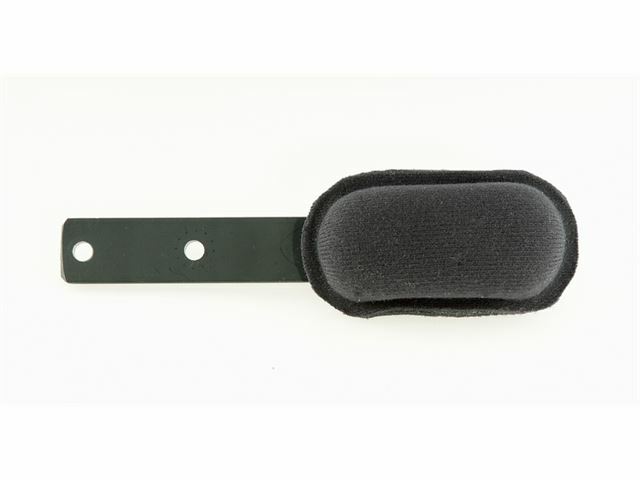 Side Pad – for extra lateral support. 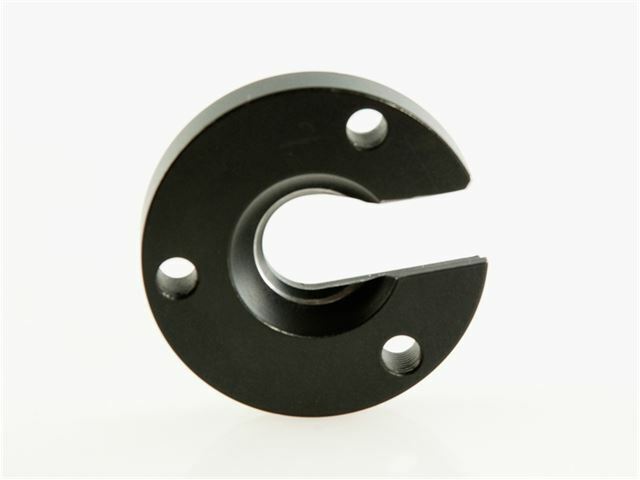 Whitmyer/Stealth Adapter – this adapter allows the Headrest to be fitted to a 19mm Whitmyer ball and 17mm Stealth mounting hardware. Please note: Due to the nature of this product it is non-returnable. Inclusive Technology Ltd and Symmetric Designs accepts no liability resulting from the misapplication of this product.